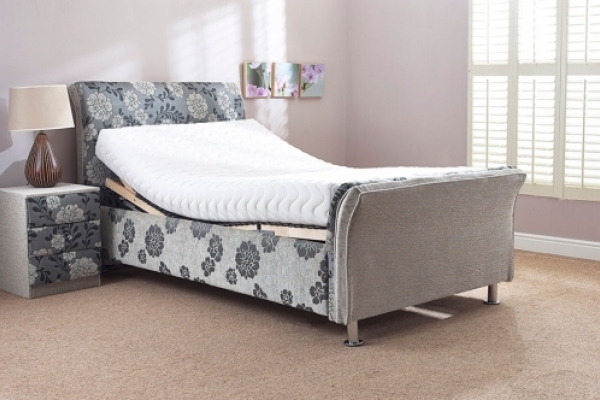 The Berkeley electric adjustable bed is fully adjustable and has a 5 part movement mechanism with a high footboard and chrome legs, you get supreme comfort and fantastic styling. 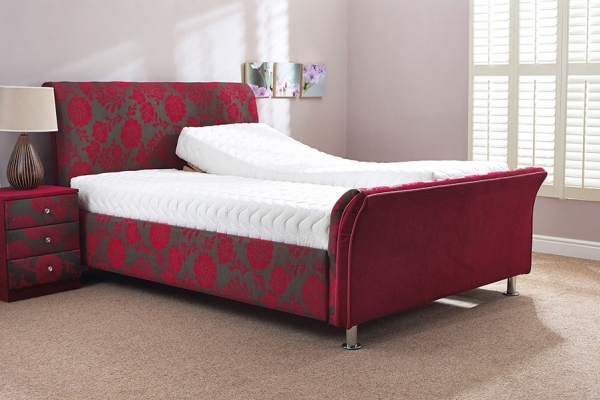 The colour of this divan bed surround is crimson and sepia side rails and head and foot boards. 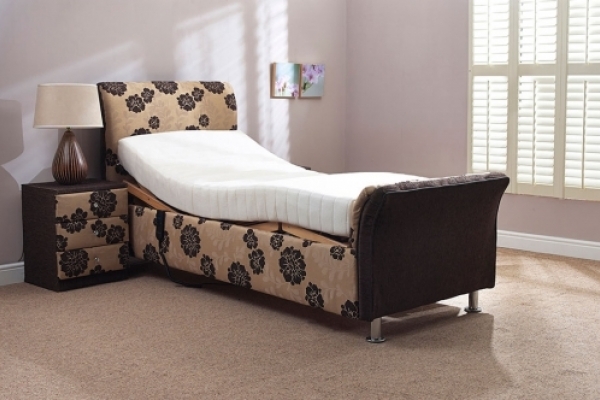 This bed is also available as a single or double.